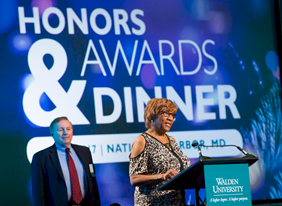 The purpose of the Walden Commitment to Social Change Award is to recognize exemplary social change activities employees are engaged in, both within and outside of the university, that exemplify Walden University’s mission of positive social change. 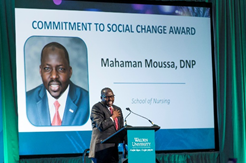 During Walden's July 2017 National Faculty Meeting and Commencement, doctor Mahaman Moussa, a member of Walden’s School of Nursing faculty was recognized for his dedication and time in providing free-clinic services for the medically underserved in North Carolina and for his leadership and actions in building the Raouda Medical Center in Tahoua, Niger, where he currently serves as President and CEO. Molly Raymond, Walden Field Education Coordinator, Founder of EDIT (Equity, Diversity, Inclusion, Together), 2016 Co-Chair of Walden’s Minneapolis Community-Building Committee. Dr. Iris Yob, Walden Director of Social Change initiatives and Faculty Emerita, in recognition of Dr. Yob’s important research in better understanding how higher education can support social change through the development of relevant curricula. Chue T. Vang, Walden Student Success Advisor and President and Founder of the Hmong American Education Fund (HAEF), St. Paul, Minnesota. Meet this year's 2017 Outstanding Alumni, Dr. Lovely Thornton. 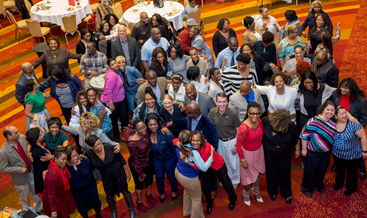 Walden University is proud to be a part of the Laureate International Universities Network, and we are fully aligned to support our shared mission to be “Here for Good”. 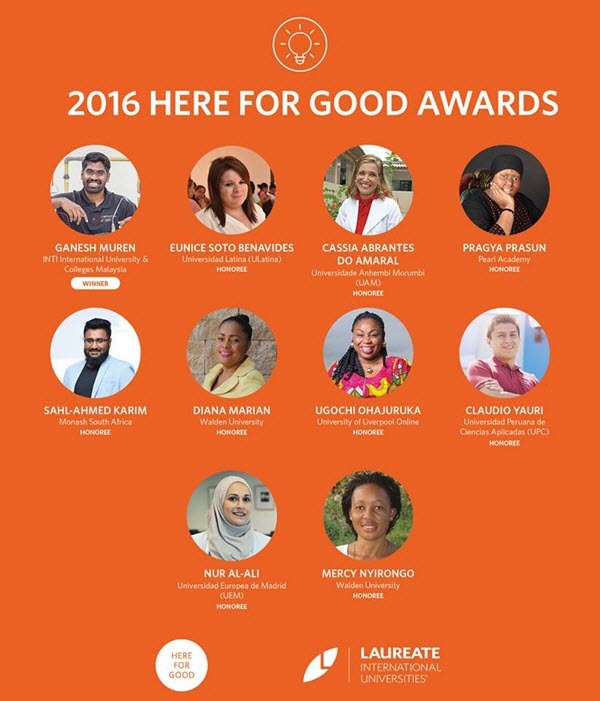 See Laureate's current and past “Here for Good” Award Winners.